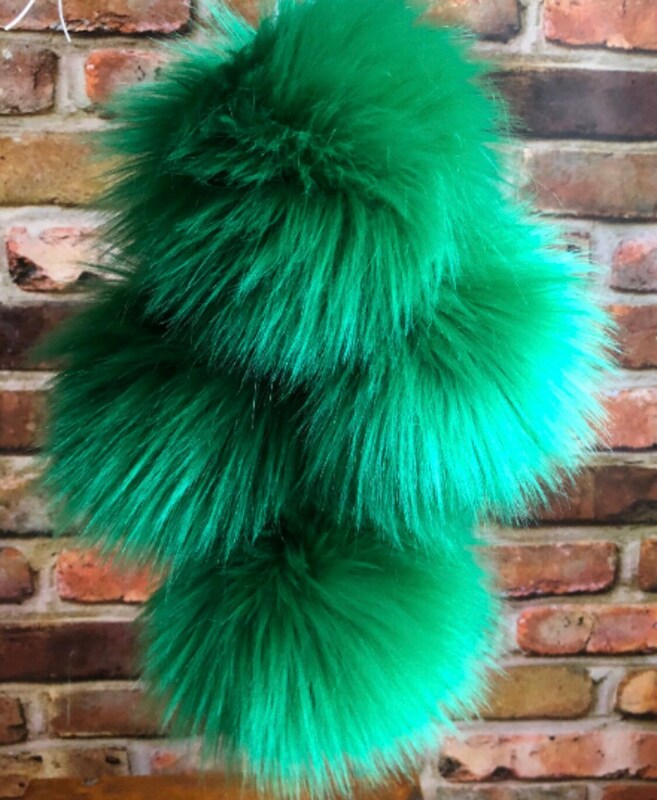 These are fabulous super plush pom poms handmade by me out of fake fur acrylic/polyester blend fabric. They have a double strand of strong nylon cord to be used for attaching to your hat or project. I get a lot of questions about sizing so I hope this helps! This is fake fur, no animals were involved in any way! Price listed is for 1 pom pom. Bulk and International orders are welcome. Check my Pom section for many more colors!